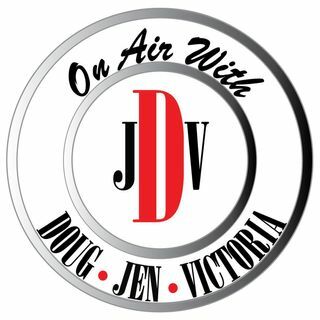 It’s another episode of the DJV podcast with Doug, Jen, Victoria and me Cara and we can’t seem to get away from the continuing drama surrounding the alleged assault of Jussie Smollett - he’s hired celebrity Lawyer Mark Geragos - known for representing Michael Jackson, Scott Peterson and Winona Ryder - to represent him in front of a grand jury. Lady Gaga breaks off her engagement and rumors swirl about her relationship with Bradley Cooper, former Oriole’s star Manny Machado gets a huge $300 ... See More million paycheck from the Padres and France makes lightsaber fighting an official sport. The crew celebrates National Love Your Pet day, visitors to the Grand Canyon over the last 20 years were likely exposed to high levels of uranium and Southwest airlines is having a ton of problems with mechanical problems in their fleet of planes. Let us know what story you think is the biggest today on twitter @djvshow or at facebook.com/djvshow, and don’t forget to rate, review and subscribe to the podcast on itunes - just search for the djv show!